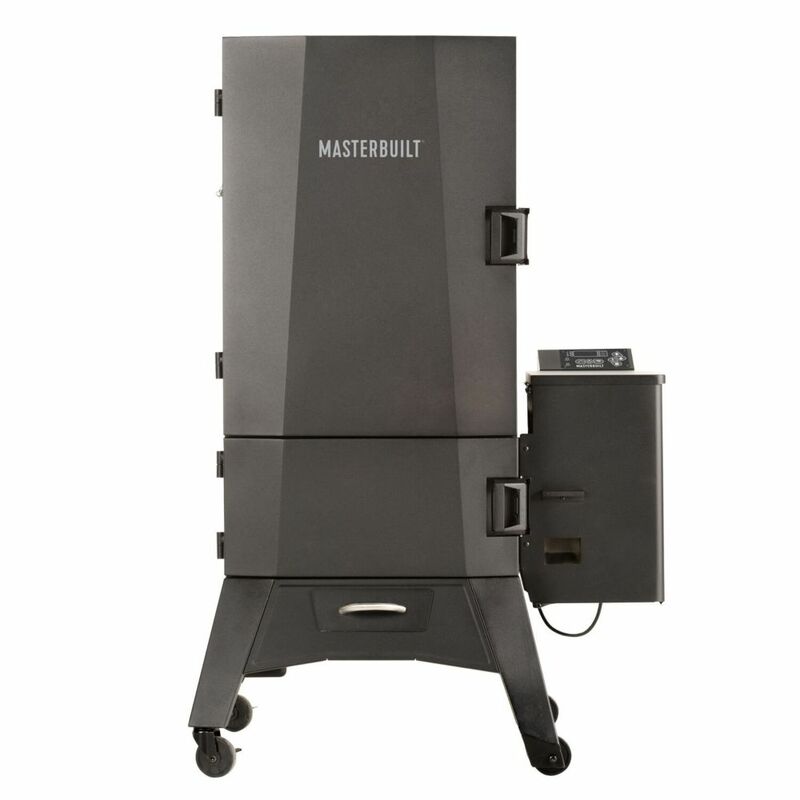 Our MWS 340B Pellet Smoker is a durable workhorse with plenty of room to smoke your favorite foods. The clean-burning pellet system monitors the cabin temperature and adjusts the auger speed, feeding the correct amount of pellets to maintain the set temperature. With the integrated meat probe thermometer and digital control panel with preset smoke and cook cycles, you'll achieve competition-ready results in your own backyard. Master the art of smoking with Masterbuilt. The King Kooker 16 inch Portable Propane Outdoor Cooker is great for cooking 2 foods at once while tailgating or camping. This cooker has a recessed top and 4 legs for extra safety and stability and a high-pressure 54,000BTU cast burner. Cook a variety of foods in the large rectangular aluminum fry pan and 2 punched aluminum baskets with heat-resistant handles. Use the deep fry thermometer to monitor the temperature, and adjust the flame with the adjustable regulator. Cook all your foods to perfection every time. Try the suggestions in the detailed instruction and recipe booklet, or create your own favorites. King Kooker lets you eat like a king. CSA Design Certified. MWS 340B Pellet Smoker Our MWS 340B Pellet Smoker is a durable workhorse with plenty of room to smoke your favorite foods. The clean-burning pellet system monitors the cabin temperature and adjusts the auger speed, feeding the correct amount of pellets to maintain the set temperature. With the integrated meat probe thermometer and digital control panel with preset smoke and cook cycles, you'll achieve competition-ready results in your own backyard. Master the art of smoking with Masterbuilt. MWS 340B Pellet Smoker is rated 3.0 out of 5 by 9. Rated 1 out of 5 by BurnedInCanton from I purchased this unit in May 2018. We used this smoker in Canton at First Monday Trade Days, whic... I purchased this unit in May 2018. We used this smoker in Canton at First Monday Trade Days, which is held one weekend out of the month, beginning the first weekend in June. It worked fine the first two months. In August, the unit took a long time to cook three briskets. They had to be finished in the oven. We tried to cook another brisket later that evening as we had some good sales. The unit would not heat up. I unplugged the power cord for a few minutes, and then reconnected. I then started the unit again, and this time I heard the burner working. I sat there to watch the temp, and it kept going way past 225 degrees. I opened the door and it was fully engulfed in flames. We lost a prime brisket because the unit malfunctioned due to the auger feeding pellets, and the burner not working until, the power was reset. The pellets that were in the burner came out after the burner filled up and spilled over, catching the left over grease on fire. Masterbuilt will not return my phone calls after they "determined" the unit was over used. Rated 1 out of 5 by HomeDepotCustomer from It will not hold temp.... It will not hold temp.